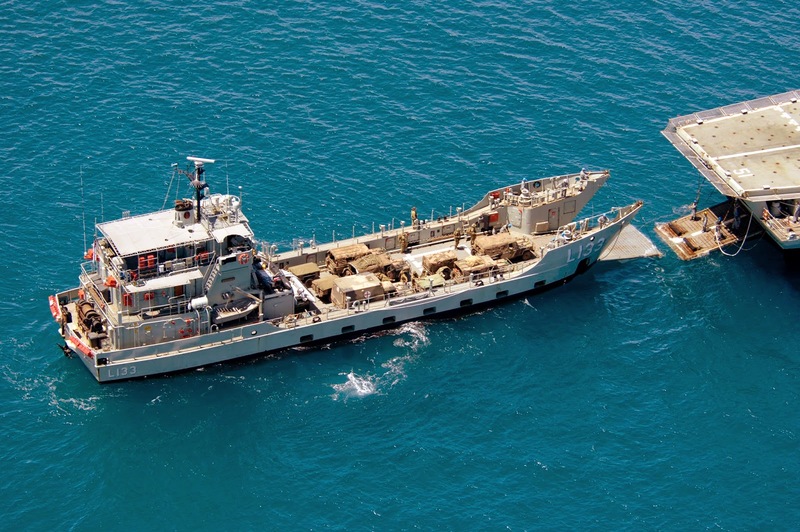 MANILA, -- The Department of National Defense (DND) will acquire three of Australia's "Balikapapan" class LCHs (landing craft heavy) at "salvage prices" which is 10 to 15 percent of the value. LCHs have a draft of two meters, length of 44.5 meters, beam of 10.1 meters and displacement of 364 tons. It has a speed to 10 to 13 knots and a range of 3,000 nautical miles and a crew of 15. HMAS Betano approaches HMAS Kanimbla to carry out a stern door marriage near Cowley Beach, Queensland.